America’s investment in research universities began in 1862, when the Morrill Act established our land grant college system. That investment has paid enormous dividends. 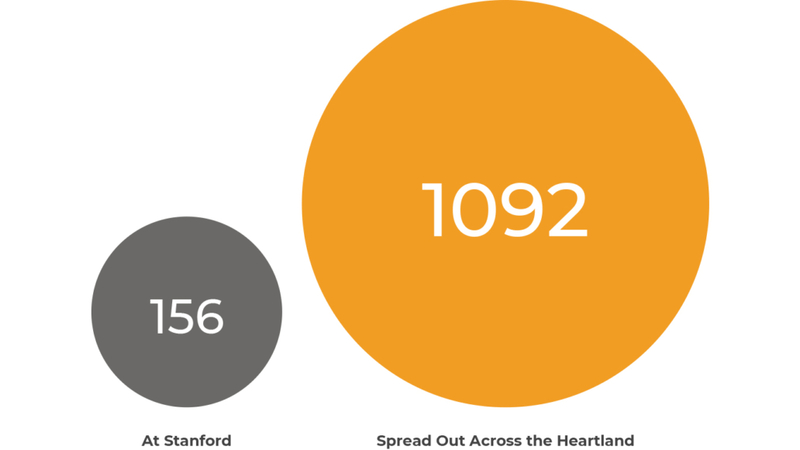 According to some economic historians, America’s ascendency to an economic superpower – distancing itself from Britain and Europe by the early 20th century – grew out of our Morrill Act investments in heartland universities. At Research Bridge Partners, we bridge those great researchers in the middle to the resources that they need to drive their innovation into society to create prosperity and sustainability. Not coincidentally, the nation’s elite commercialization universities sit in the middle of the densest concentrations of entrepreneurial capital and translational talent in the world. 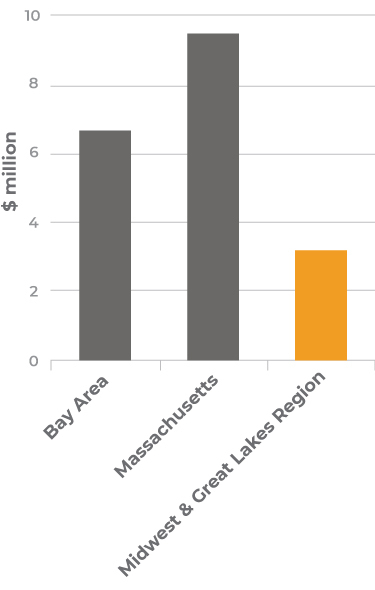 For every $1 dollar of research conducted by Bay Area universities, Silicon Valley venture capitalists have $15 dollars available to exploit commercialization opportunities. The situation is similar in New York and Boston, which respectively boast $4 and $5 in VC dry powder for each $1 in university R&D. 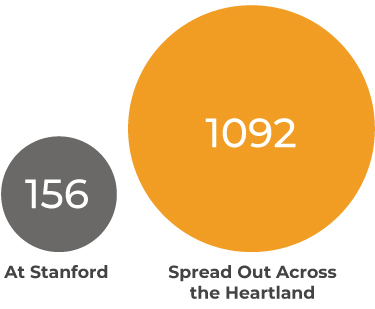 It’s a different story in the middle of the country, even though the heartland has some of America’s premier research universities. The University of Michigan has only has $0.20 in VC dry powder per $1 dollar in R&D. 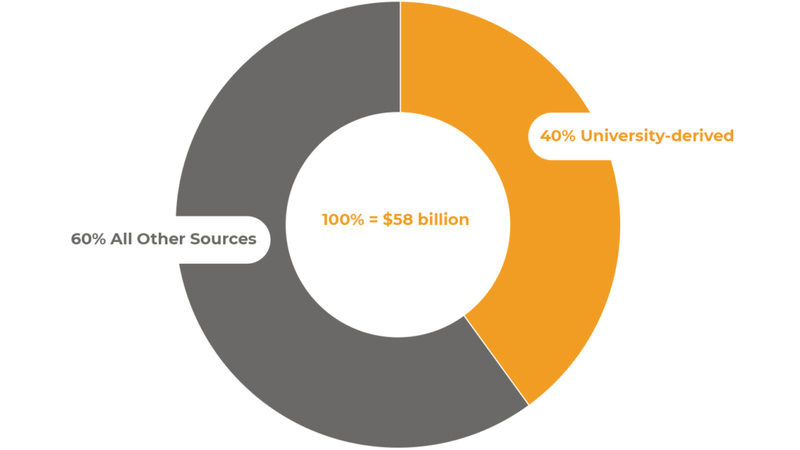 Even in Austin, Texas – a strong technology center and home to The University of Texas – there is only $0.70 in VC dry powder available to commercialize each university research dollar spent. It’s the same story with business talent. 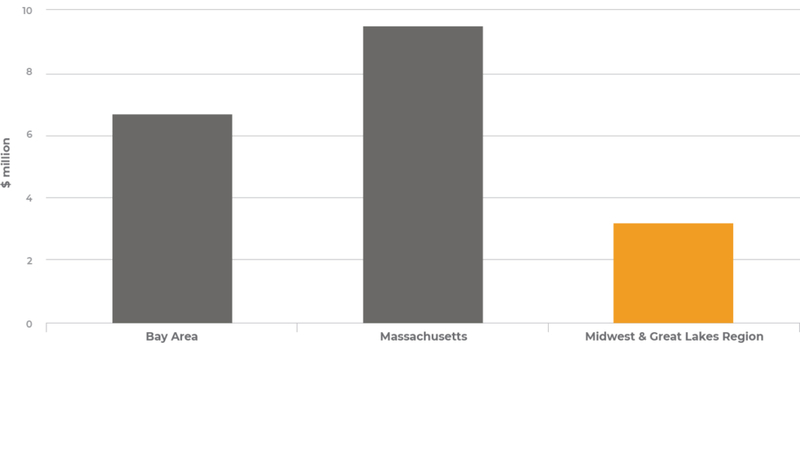 Startup clusters like Boston and Silicon Valley have large stables of experienced entrepreneurs and executives readily capable of providing business-side expertise to science-based companies. For example, Partners’ Healthcare Innovation, Harvard Medical School’s hospital group’s commercialization program, employs about 80 people (and a $170 million internal fund) to help commercialize the university’s research. 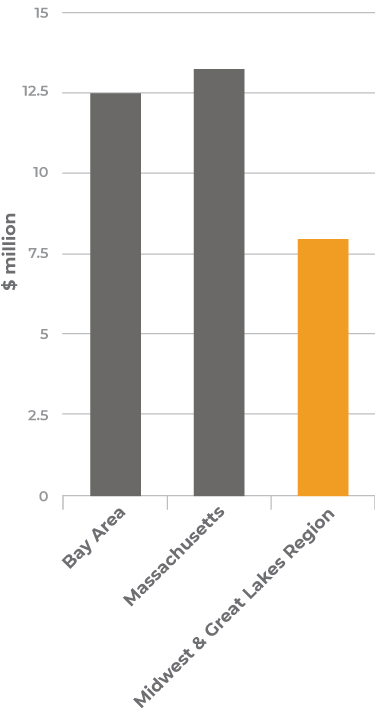 More importantly, those 80 leverage more than 10x that many executives in greater Boston. 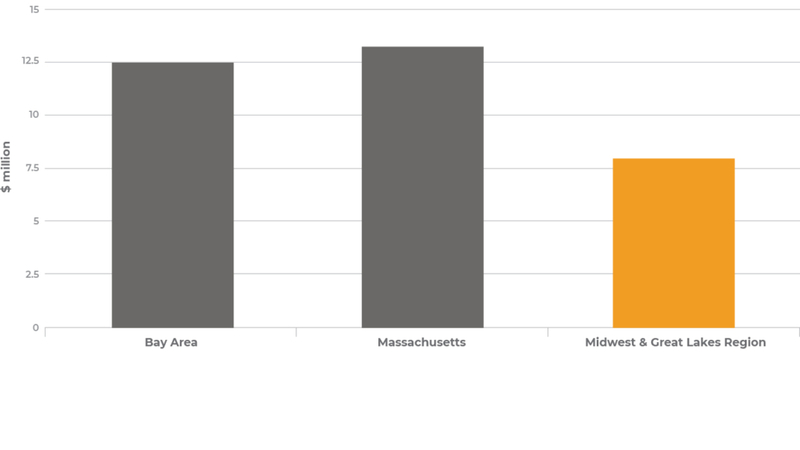 These barriers make it difficult, if not impossible, for regions in the middle of the country to reproduce the concentrations of wealth and talent in the nation’s startup clusters. We bridge the universities and innovators and innovations in that “big middle,” to the commercialization capabilities on the coasts.